The ancients believed that bald is not a Vice, but a real testimony to the wisdom of man. Therefore, no one worried because of the lack of hair on the head, and to the bald man with respect, listened all around. Today, this reverence toward the bald spot is not saved. And if for someone it is part of the image (for what hair even shave), someone the loss of vegetation on the head and the appearance of bald spots bored. Hair is a natural cover man. They are intended to warm the skin and protect them from frost. Of course, over the evolution of the excessive hairiness of the man disappeared, and today a large number of hairs can be seen mainly on the head. Normal hair grows regularly and replaced with new. And it happens throughout a person's life. Of course, in old age, these processes slow down but to grow hair all not cease. One should get alert if you have a day fall out whole patches of hair. After all, normal hair loss per day should be no more than 100 hairs. If you have hair fall in bunches, it does not mean that all is lost. Just need to figure out why. For example, it may be a nervous exhaustion, infectious or chronic disease, etc. To panic and declare himself bald if the hair begins to literally crumble, not worth it. As well as to underestimate the problem. Because first of all, you need to install the issue and understand how serious it is. Sometimes it is enough just to cure chronic disease, to stop temporary hair loss. 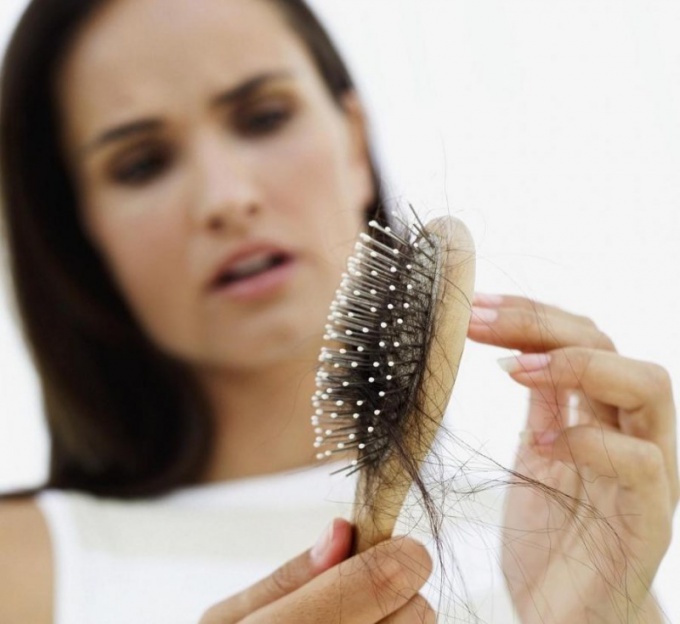 The intensity of hair loss, area destruction and many other factors, hair loss is divided into several different types. Androgenetic type of hair loss is one of the most popular options. As a rule, the so-called hair loss parietal and frontal regions in men. In women, this type of baldness is characterized by thinning of hair in parting. This type is genetically transmitted, in connection with what methods of struggle is global – therpay laser, hair transplant, etc. Diffuse type of hair loss is a fairly strong, but uniform hair loss over the entire surface of the head. Cause this pathology stress, disruptions in metabolism, infection, and poisoning. To treat this type of baldness is possible only by eliminating the cause. Focal type shows a small, often rounded areas of baldness on the head. However, sometimes hair loss spontaneously terminated, and the damaged areas are overgrown again. Most often, such type of baldness cause a sensory overload. Scarring type of hair loss is irreversible damage to the follicles, where the connective tissue forms. This occurs in response to trauma and burns. In any case, what type of baldness you may put, you need to see a specialist. Better if it is a doctor-trichologist. However, failing that you can go to the therapist. First and foremost, if you have the tendency to baldness, you need not to panic and not to lose heart. Doctors even suggest to incorporate a healthy indifference. Of course, this does not mean you have to give up on the problem. Should just change their attitude to it, and then the treatment will be more effective. Until you treat the root cause of your hair loss (and without this does not get rid of him), you can try to hide the defect with the help of various available tools. For example, ladies can wrap the scarf on the head and come up with new hairstyles. Helps tease the remaining hair on problem areas. Of course, an excellent method of be wigs. Connect to the treatment of various remedies to stimulate hair growth. For example, it may be the herbs, pepper pads, etc., Such funds are designed to increase blood flow in the scalp, resulting in stimulated hair growth. However, before use of such drugs and infusions should consult a physician in order not to hurt yourself even more. It is possible for the same purpose – stimulate blood circulation – to do a scalp massage. Remember that the movement should be intense, quite energetic and fast. Hair transplantation is probably the only efficient method to combat baldness. Usually take the hair from the nape of the neck. Essentially transplanting small pieces of skin with hair follicles, which are implanted in the damaged area of the head. It is possible to combat baldness and preventive methods. To make masks on the basis of black clay, with onions, garlic and pepper. Some of the products stimulates blood circulation, which leads to increased power in the roots, others nourish and moisturize the follicles.